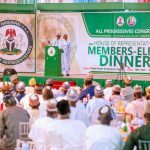 The All Progressives Congress on Monday said it had rejected Saturday’s presidential election result in Akwa Ibom, declared by Independent National Electoral Commission at the Collation Centre, Uyo. 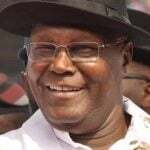 The News Agency of Nigeria reports that in the result announced by Collation Officers for the election, Peoples Democratic Party’s Atiku Abubakar won in 28 local government area out of 31 in the state. He polled 391, 844 votes to defeat President Muhammadu Buhari of the APC, who scored 158, 788 votes. 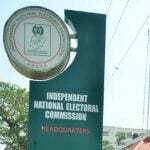 But, APC’s agent for the election at the State Collation Centre, Mr Samuel Akpan, told newsmen that he had the mandate of his party to reject the entire result as announced by INEC. He said that the process was compromised and demanded the cancellation of the results, describing the process as “a scam’’. “The result does not reflect the true position of what happened in the units and wards. “This is not the democracy that we wanted. APC is a peace-loving party and therefore, is not prone to violence. 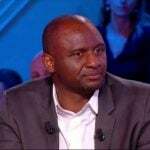 “Our party is not satisfied with the whole collation process from the unit to the state collation centre. “There was vote-buying and the entire process was compromised. The integrity of the whole exercise has been undermined. The umpire ought to be fair,” he said. 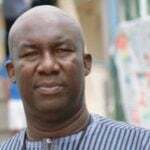 The Resident Electoral Commissioner in the state, Mr. Mike Igini, said that politicians have continuously threatening electoral officers. 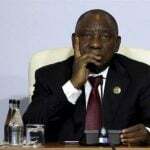 Igini recalled that he warned that election may be cancelled in places where there were violence and snatching of ballot boxes, adding that politicians were the ones that often disrupted elections. “I had said it that the reprobate politicians we have in our country would be the one to disrupt this election. “We are out for openness but politicians are out for chaos. The period of snatching of ballot paper is past. “I want people to know that in this state we have vowed to give purpose to the elections. “To the people who are threatening our staff, stop the intimidation because the intimidation is getting too much,” Igini said. He said that the elections in Udung Uko Local Government area was cancelled because it was characterised by hostilities, violence and snatching of electoral materials. The Electoral Officer in the LGA, Mr Emeka Adizua, said that he was attacked and had to be rescued by the Police in Oron. 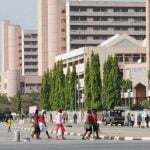 Workers in the Federal Capital Territory have begged President Muhammadu Buhari to sign the minimum wage bill submitted to him by the National Assembly on March 27. 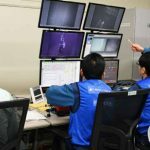 The operator of Japan’s crippled Fukushima power plant on Monday began removing atomic fuel from inside a building housing one of the reactors that melted down in 2011. 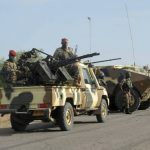 Fighting between Chad soldiers and Boko Haram jihadists killed dozens, including 63 “terrorists”, in an overnight attack on a military base, an army spokesman said Monday. 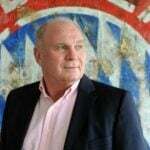 Bayern Munich president Uli Hoeness ruled out breaking the 100 million euros ($113 million) mark this summer and said he would buy French striker Kylian Mbappe “immediately” if he had the money.